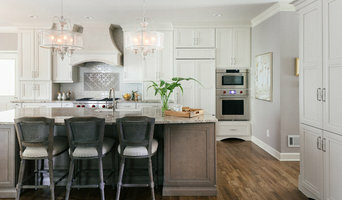 Create Your Dream Kitchen and Bath with CR Home! 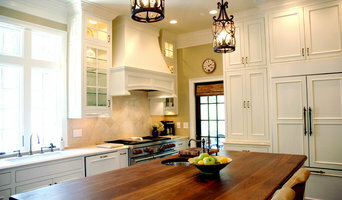 Construction Resources and Atlanta Kitchen presents CR Home Design Centers as your one-stop-shop. Find the most current and unique styles in our extensive line of granite, quartz, marble, natural stone and solid surface countertops. Look to CR Home Design Centers for flooring, tubs, faucets, glass shower surrounds, mirrors and specialty items, too. Services Offered: 3D Bathroom Design, Steam Shower Specialists, Floor Plans, Elevations, Material Selection, 3D Renderings, Atlanta Bathroom Design, Atlanta Bathroom Remodel, Custom Cabinetry, Frameless Glass Shower Enclosures Are you ready for a luxurious bathroom? Then you have come to the right place, not only will we make sure you have the best bathroom design and remodel we will also insure that you have the best possible experience. Our name, Change Your Bathroom, reflects our passion and specialty…bathrooms. Ask For the Three “Ds” Design – 3D renderings are a must when it comes to visualization. These include layout and color representation of the materials before they are installed in your bathroom. We also help you with material selection. At the end of the process you will have a comprehensive, ready to install bathroom packet including all floor plans and elevations any contractor would need to install your project. Dust Defense – Our proprietary dust containment system is a must for a bathroom remodel. What's better than a dust free bathroom remodel? (no seriously, what?) Drain System -The Hidden Drain shower system can be the showstopper in your bathroom! Easy cleaning and no clogs. Plus, you can use larger tiles in the shower (we also use non-slip solution). If you are looking for bathroom remodeling in Atlanta we can create anything you can imagine. Whether it be a standard bathroom remodel or a luxurious bathroom remodel in Atlanta (and the surrounding area) we are the remodelers you need. We make the process simple (not to mention dust free - it's kind of a big deal). 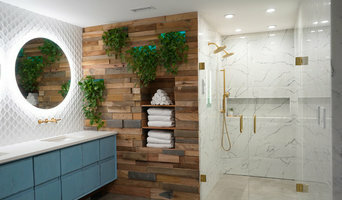 “BEST OF HOUZZ” 2012-2019 AWARD WINNER. Alair Homes Decatur was previously known as Renewal Design-Build. Alair Homes is an award-winning custom home build and renovation company helping individuals and families enjoy happier, healthier, more productive and more comfortable lifestyles. We partner with our clients to create thoughtfully designed and intentionally styled spaces that endure. Our philosophy is simple; we want to be completely unified with you in our goal of achieving an incredible product, on time and on budget. We know that there is only one way to do that—with transparency, thorough planning up front, and truly superior management systems for executing seamless projects. Every detail of our business as it relates to each project is an open book to our clients. Budgets, trade quotes, trade contracts, material costs—absolutely everything. What we see is what you see. Every Alair Homes project begins in our exclusive proprietary project management program. With this easy-to-use software, clients have access to real-time accounting updates, schedules, selections, sub trade communications, project specs, sub trade quotes and project galleries. We work with the absolute best suppliers and sub-contractors and get the best materials and products possible for your project. We pass all of our buying power, our trade relationships, and our unparalleled best practices directly to our clients. 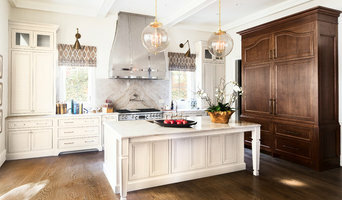 Kitchen Design and Renovation Specialists Rosa Moreno has an extensive background in interior design, color pallets and above all understanding an individual’s needs. Rosa immediately puts your mind at ease regarding the remodeling experience, assisting you every step of the way. A world of innovative kitchen ideas and inspiration awaits you at Poggenpohl Atlanta Kitchen Studio. Open to the public as well as the architectural and interior design community, the Poggenpohl showroom offers full service kitchen design and installation – taking your dreams and making them a reality from conception to execution. The kitchen is the centre of the home, and our philosophy not just to design kitchens, but to create rooms for living and enjoying. Each and every one of our designs starts with a blank sheet of paper. Before we create a design, we listen to our clients to know about their sense of style and colour, and how they want to use their kitchen and living area. Creating a Poggenpohl kitchen is a very personal process, and our focus is on creating the ideal solution for our clients. Find your own inspiration in our showroom. In our unique studio atmosphere, we will prove that Poggenpohl attaches top priority to the combination of quality, innovation, functionality, and design. Poggenpohl offers a wide variety of styles of kitchen cabinet fronts and finishes including wood veneers, lacquers, laminates, glass and more. From classic to contemporary. All sustainably green. Many surprisingly attainable. Founded in 1892, Poggenpohl is the world’s leading luxury kitchen brand. The team at Studio Poggenpohl Atlanta look forward to meeting you. Designing classic, functional, and aesthetically beautiful custom kitchens + bathrooms (and more) from an architectural point of view. What does a Forest Park kitchen designer or bathroom designer do? A kitchen and bath design professional in Forest Park, GA knows to take all of these crucial points into consideration and can help plan the layout, materials and overall look and feel of either of these rooms in your home. Kitchen designers, as well as bathroom designers, are constantly staying on top of trends in the ever-changing industry. The designer also knows the best layout for your room, and can configure the layout for optimal functionality and utilization of the space. In the kitchen the refrigerator, stove and sink should be laid out in relation to one another, and it should be seamless and easy to move from one to the other. A Forest Park kitchen and bath designer will know how to work with a contractor and architect to plan the flow of the room to work best for your needs. Here are some related professionals and vendors to complement the work of kitchen & bath designers: Kitchen & Bath Fixtures, Appliances, Tile, Stone & Countertops, Cabinets & Cabinetry, Woodworkers & Carpenters. Before you talk to bath and kitchen designers in Forest Park, GA, consider how you will use the room. For your bathroom, is it necessary to have a bathtub for bathing kids or pets, or would a shower suffice? Perhaps all you need is a half bath for downstairs or a smaller guest bath for occasional use. Similarly, for kitchen renovations consider your cooking habits. Do you eat out every night but need a space to entertain in? If so, a smaller kitchen might be fine for you, with a space devoted to wine storage or a bar, whereas others might prefer a bigger stove or extra cabinets. When interviewing Forest Park kitchen and bath designers, make sure to share these habits so they can best fit the room to suit your needs. Find a Forest Park kitchen designer or bathroom designer on Houzz. Narrow your search in the Professionals section of the website to Forest Park, GA kitchen and bath designers. You can also look through photos in Forest Park, GA to find a kitchen or bathroom you like, then contact the professional who designed it.